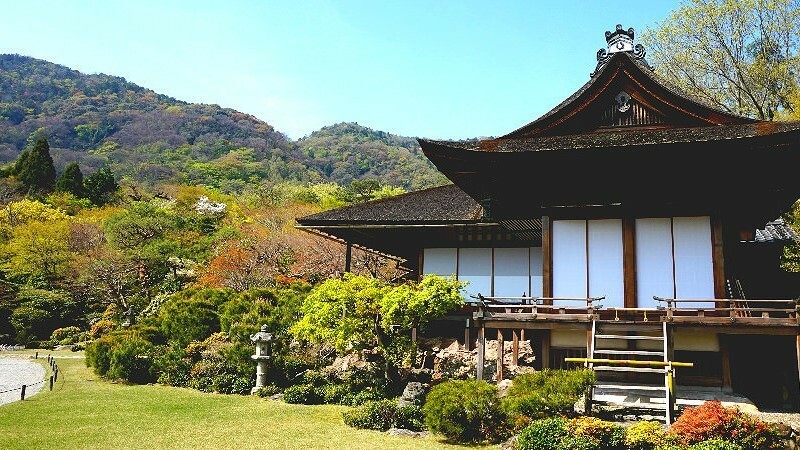 In parts one and two you got to know about the basic Arashiyama travel plan for beginners, but in this part, we are going to get to know about even more exciting places in Arashiyama! Arashiyama is famous for its grand and beautiful nature which of course looks different every season. Besides the Togetsu-kyo Bridge and the Bamboo Grove, there are many other places and activities where you can enjoy the nature of Arashiyama! 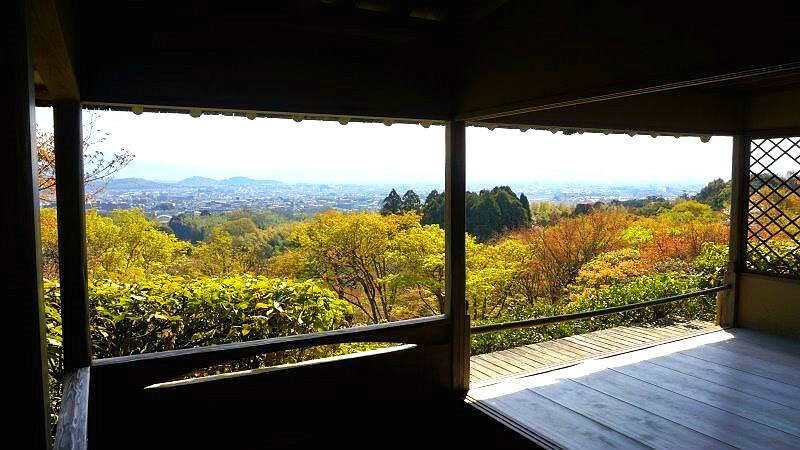 Okochi Sanso is a villa just after the Bamboo Grove where you can enjoy a Japanese garden which uses the concept of “borrowed scenery” in a masterful way by incorporating the mountains surrounding the villa into the design of the garden. From the top of the mountain, you get to see all of Kyoto below you, and the hike up the mountain is refreshing but not too demanding. They also have tea room style seating where you can have matcha tea and sweets outside. This is a nice place for a break, especially in autumn when the weather gets a bit cooler. The entrance is 1,000 yen so it is not on the cheap side of things, but this contains matcha tea and a sweet, plus a postcard, so the price is actually not that bad. I want to recommend Sagano Romantic Train if you want to enjoy the awe-inspiring nature of Arashiyama to the fullest! 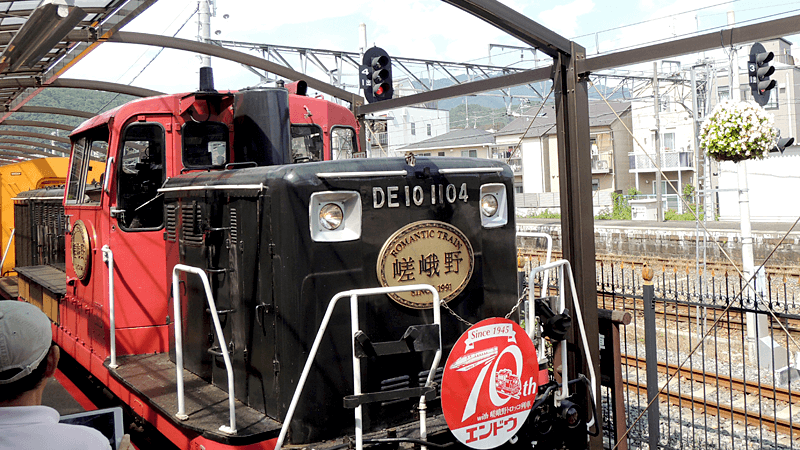 You can take the train from Arashiyama all the way to Kameoka and enjoy the beautiful scenery. 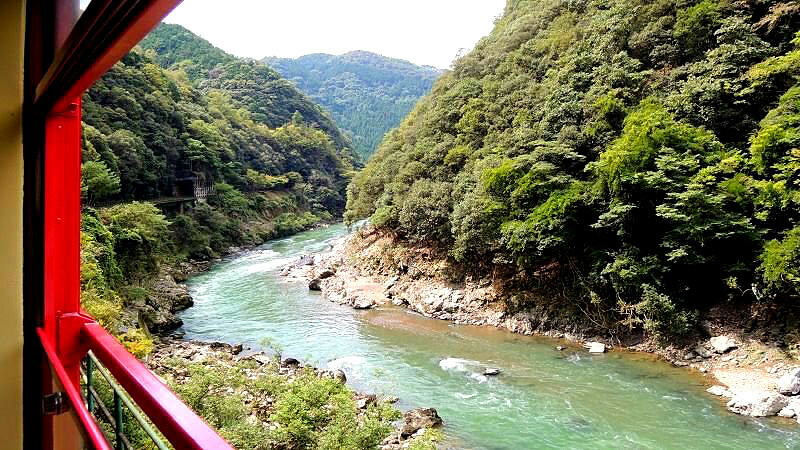 The scenery you see from the windows of the train changes depending on the season, and the incredible beauty of the Hozu Valley is sure to become an unforgettable memory for you. 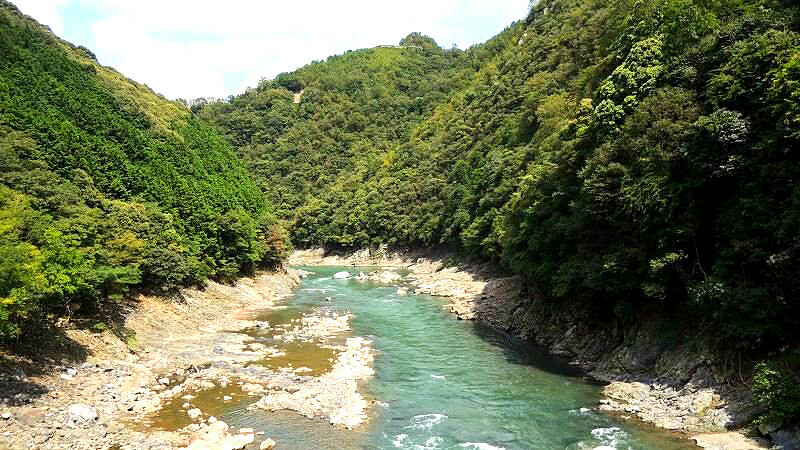 If you took the Sagano Romantic Train all the way to Kameoka, this is a great chance to take the Hozugawa River Boat Ride back and enjoy a 2-hour ride of excitement down the river. 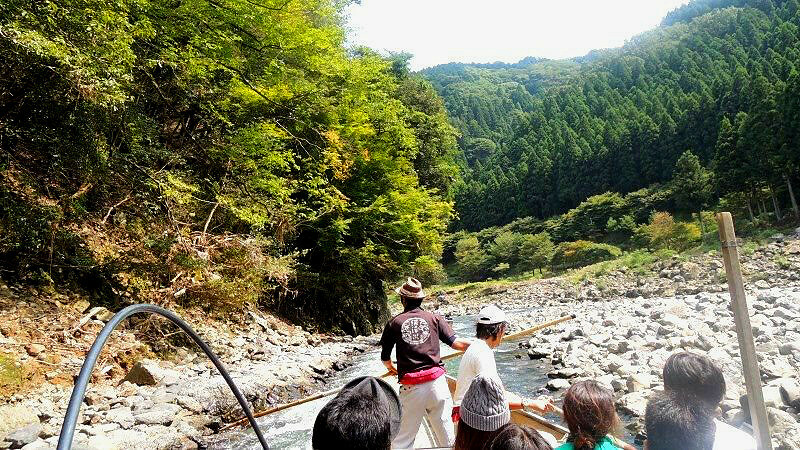 This is a great chance to have a full-on experience of Arashiyama; you have the beautiful scenery, and when the stream gets stronger, the experience will get even more exciting. 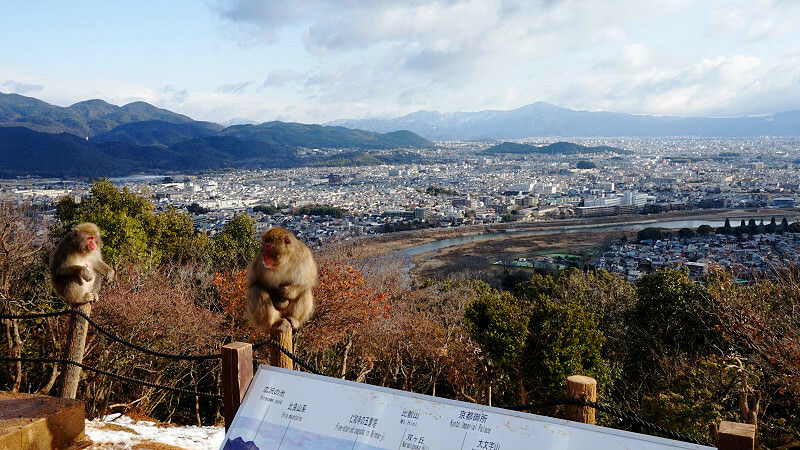 There is a park in Arashiyama where you get to see monkeys up close, and this park is on top of a mountain, only a 5-minute walk from Hankyu Arashiyama Station. Even though the park is so close to the station, it is usually not at all crowded. This is a great place to experience an Arashiyama different from the busy temples and souvenir shops. 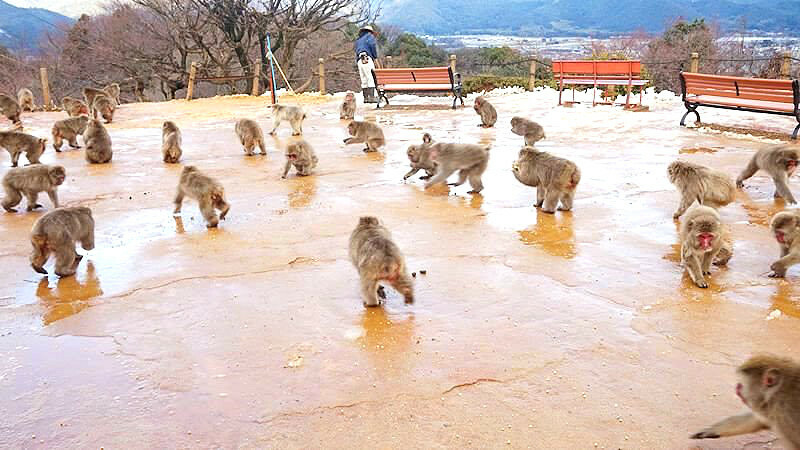 Over 100 Japanese macaques live in the park, and it is surprising how close you get to see them. The views from the top of the mountain are also really good, so this truly is a place I can recommend heartily. These places here are great especially for those who want to enjoy the nature of Arashiyama. These places are great no matter whether you are going to Arashiyama alone, with your friends, or with your family!